MOSCOW, October 23. /TASS/. Kremlin Spokesman Dmitry Peskov did not rule out that Russia may respond to Ukraine’s sanctions with countermeasures against its economy, individuals and legal entities. "Ukraine is taking measures regarding the economy, legal entities, and individuals. That is why, none of them can be ignore in any way," Peskov said. "The decree instructs the government to draw up an appropriate list and this will be done," he assured. When asked whether Russia’s countermeasures may affect all Ukrainian people, Peskov referred to President Vladimir Putin, who "repeatedly said that we don’t consider the Ukrainian people as counterparties for any restrictions." "The Ukrainian people have been and will be a friendly nation for Russia, with the exception of some poor representatives of this nation, who are mired in nationalistic and ultranationalist attitudes," the Kremlin spokesman stressed. He also recalled Putin’s statement that "the citizens [of Ukraine] are suffering as a result of the policy pursued by their leadership because of the reckless actions in the southeast of the country that the citizens of Ukraine were dragged into." 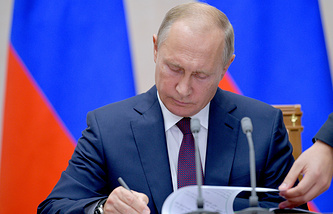 On Monday, President Vladimir Putin signed a decree imposing special economic measures in response to the anti-Russian sanctions of Ukraine. The document was published on the Kremlin’s official website. The directive notes that this decision was made "in response to Ukraine’s unfriendly actions, which run counter to international law and involve the introduction of restrictive measures against citizens and legal entities of the Russian Federation", and also to protect national interests." The Russian government was instructed to draw up lists of individuals and legal entities that the special economic measures are targeted at, as well as to determine "special economic measures applicable to individuals and legal entities." Under the decree, federal agencies, regional and local authorities should proceed from the fact that from the day the decree comes into force, special economic measures will be applied to those sanctioned individuals and entities. It is noted that the document enters into force on the date of its signing. 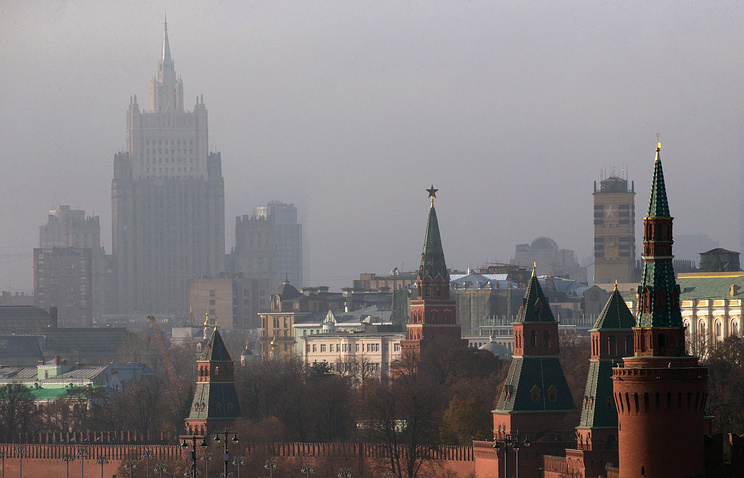 The decree can be cancelled by a decision of the Russian Federation if Ukraine abolishes its restrictive measures imposed on citizens and legal entities of Russia. Ukraine earlier slapped sanctions on 1,228 individuals and 468 legal entities, including Russian government officials, politicians, company chief executives and reporters, along with some Donbass residents, the Almaz-Antey concern, Gazprombank and Aeroflot.